This is our last holiday post of the season (although I may sneak in a New Years craft after Christmas). 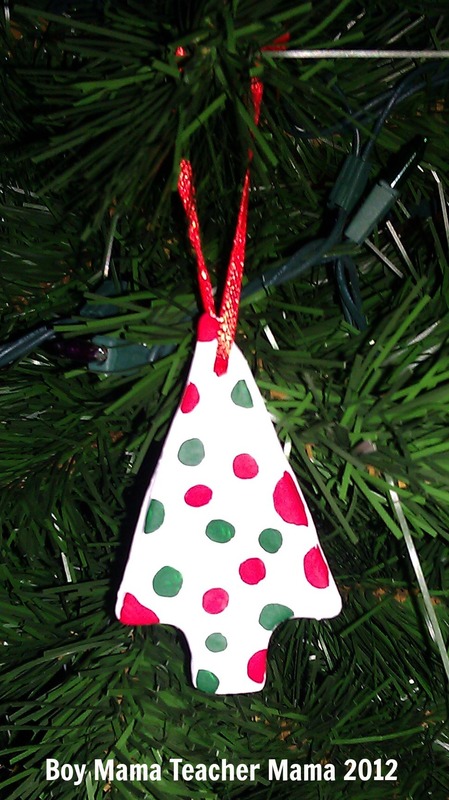 We made these adorable Christmas tree ornaments last week. I finally hung them on our tree tonight and decided it was time to share. 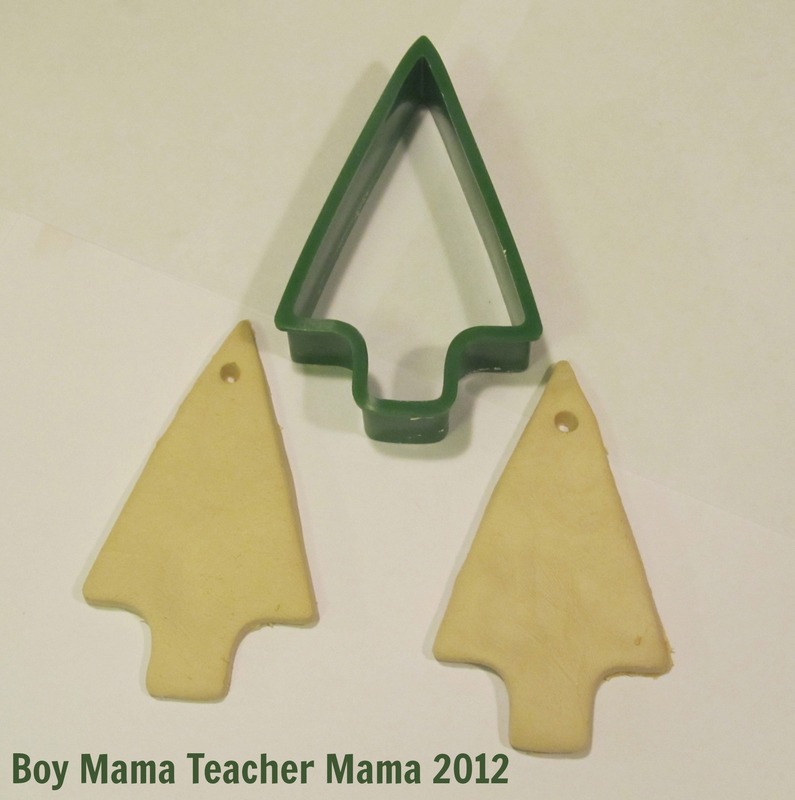 Roll the clay and use the cookie cutter to cut out as many trees as you like. 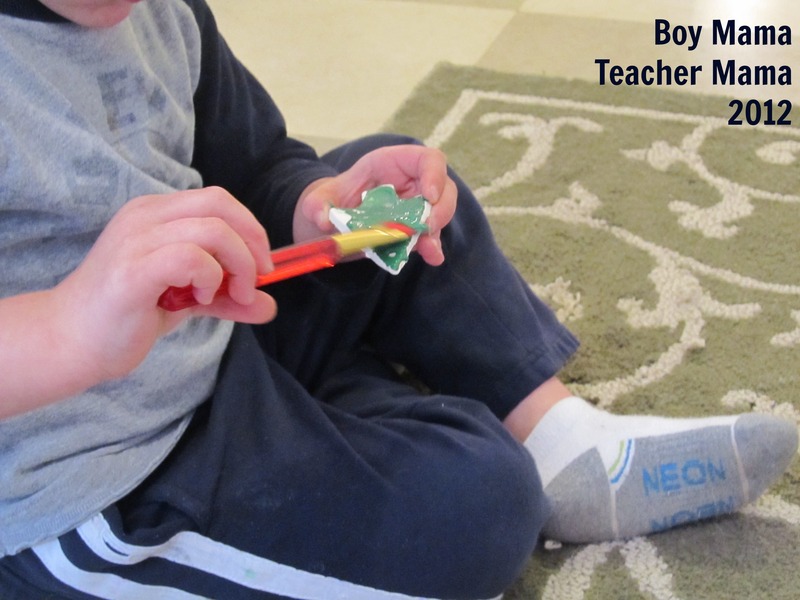 Use a pencil to create a hole at the top of the tree for the ribbon. Allow the trees to air dry for a day or so. 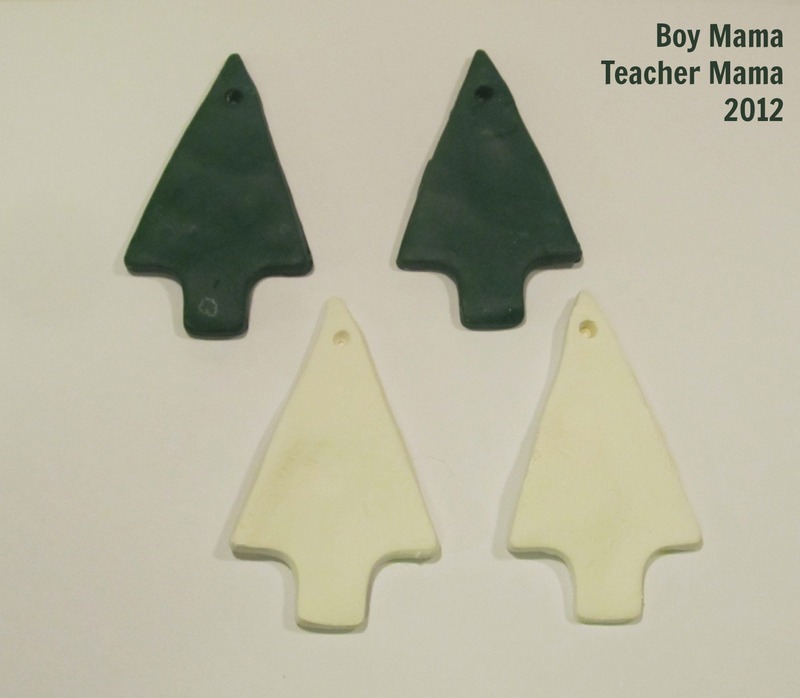 Once the clay has dried, paint a few of the trees green and a few white. Allow them to dry. The acrylic paints dry fairly quickly which is nice. The kind we used dried in about 15 minutes. Then, using the other colors of acrylic paint, decorate the trees to your liking. I was really into the dots. 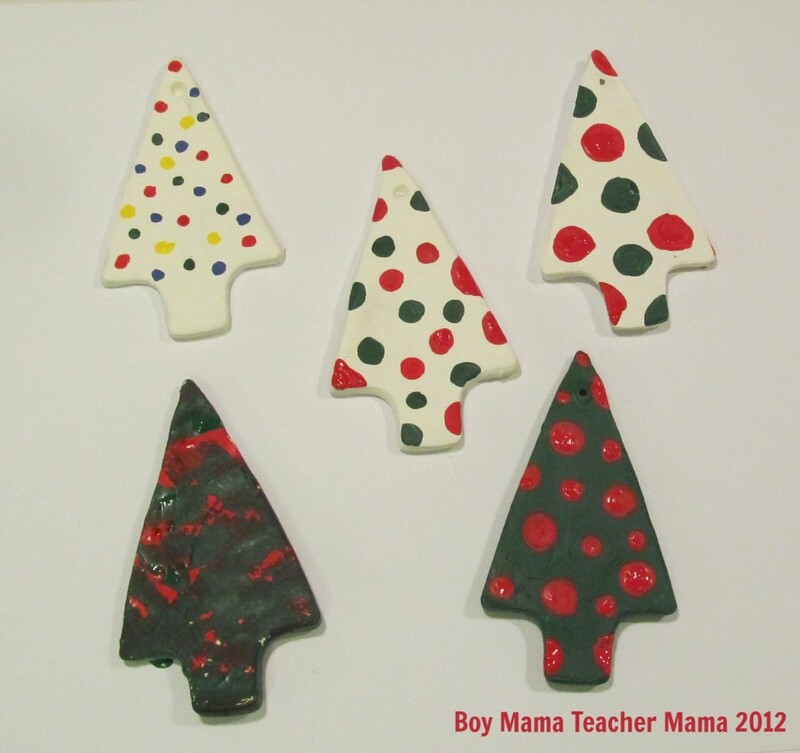 I especially liked the big red and green dots on the white tree. My son decorated the tree on the lower left. He patted the tree with his brush and it made a pretty interesting pattern. 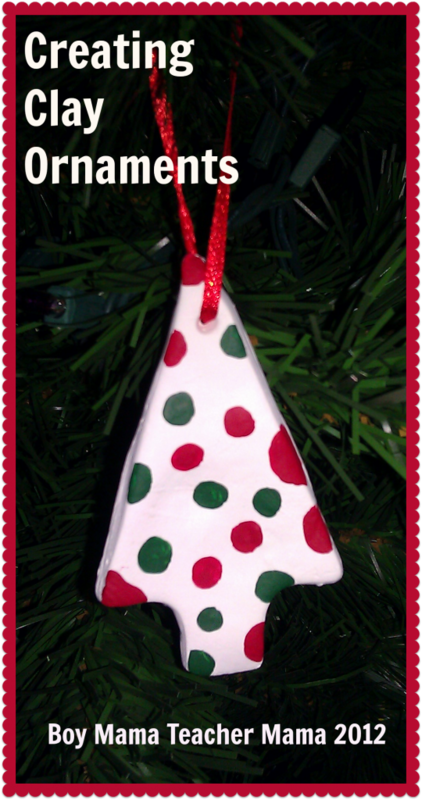 When the paint has dried, string a ribbon through the hole, tie the ends and hang from your tree. You may also want to cover each tree with a layer of sealer to keep it from chipping or scratching. That’s it! Simple, kid-friendly, loads of fun and looks great on the tree! 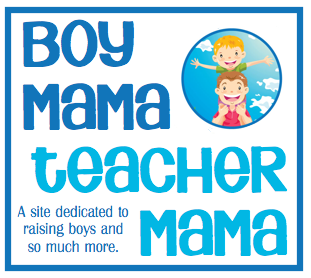 Lovely idea. And we get air drying clay here as well. Aarya would like doing this, I am sure.